Both todays highlights have already met their funding goals but it's not too late to pledge and pick up some sweet bargains. 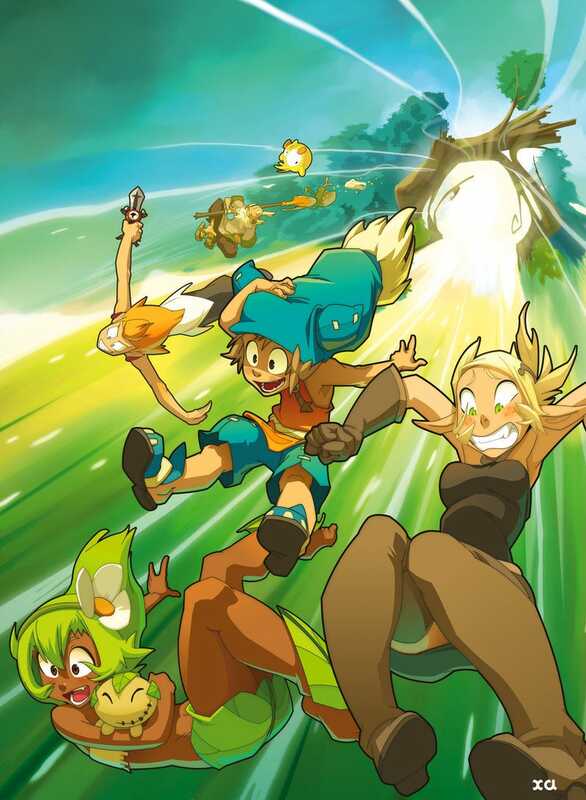 First up is the Wakfu animated series by Ankama. The goal is to get this originally French series out to English viewers. Some of you may already be familiar with Ankama through the Krosmaster Arena board game or the Dofus or Wakfu MMOs. Whether you've heard of it or not the animated series is likely worth your consideration. For $40 Canada bucks you get the first two 26 episode seasons and a handful of OVAs and specials on Bluray plus a T-shirt. With free shipping. Not too shabby. Of note as well is that the BDs are exclusive to the KS campaign so they have eBay value to boot. But better act soon as there's only a couple of days left. Next is the Kingdom Builder big box by Queen Games. This is a bundle of the board game Kingdom Builder with its first two expansions as well as the new Islands expansion. Whether you're familiar with Queen Games or not you may be familiar with the games designer Donald X. Vaccarino. Or rather you may know one of his other games; the rather excellent deck building game Dominion. While this may not appeal to those that demand the ever rising peaks that are stretch goals (this campaign has none) it is a good chance to pick up some great games at a big discount. Right now it would cost over $110 to pick up the game and expansions but here you can have it for $76. There's also some bundles available that include other games by QG including the rather interesting Fresco. Free shipping to US and parts of mainland Europe. If there's anything you're backing or that has your eye drop a link in the comments below.